The Whitsundays are one of the most popular holiday destinations in Australia, and for good reason. They are pretty much the definition of ‘Tropical Paradise’ - crystal clear water surrounds the iconic white sand islands. Beaches, sailing, snorkelling, adventure tours, it’s a unique aquatic playground near the Great Barrier Reef. 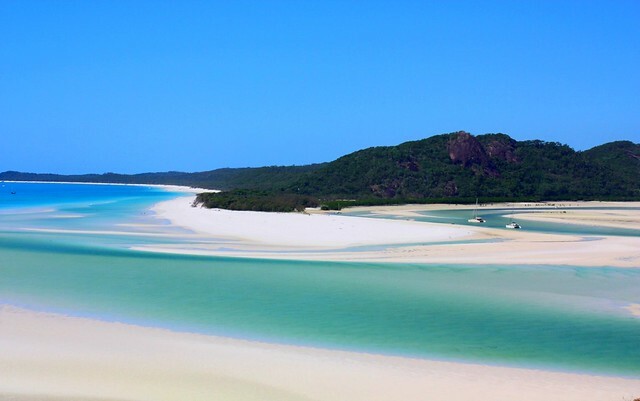 Sailing is a way to explore both above and below the protected tropical waters of the beautiful Whitsunday Islands. Just imagine, the sweeping white sails of a yacht stretching up above you towards the warm midday sun, casting it’s light down through the clear waters, illuminating the sandy seabed and the prolific range of beautiful sea life beneath the waves. You might be on a catamaran, with it’s stretching trampoline-like material taut between two hulls. Lounge, bask, or dive off into the cool waters below, the beach is just a short swim away. Perhaps you’re aboard a sleek luxury yacht anchored. Around the boat, the walls of a cove rise up, forming a sheltered inlet with a secluded beach. All you hear is the lapping of the waves against the hull as you settle in with a glass of wine to watch the sun set over the horizon. Whether it’s romance, adventure, or relaxation you’re seeking, the Whitsunday Islands offer it all. Snorkeling, diving, bushwalking, cruising, wining and dining, kayaking and whale watching are just a few of the activities on offer throughout a sailing vacation.